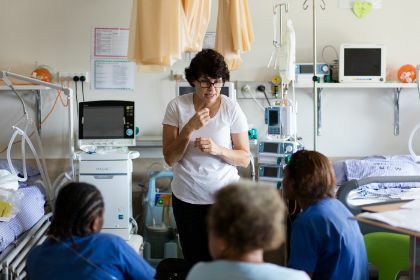 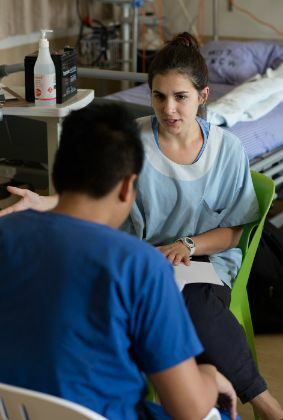 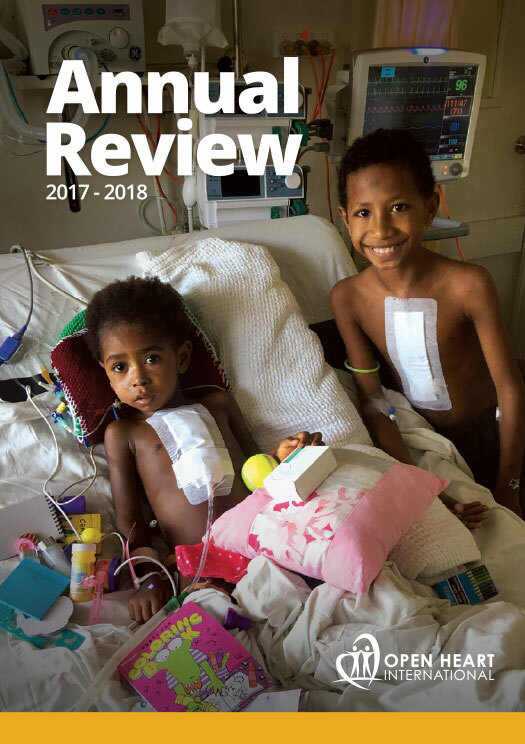 Education sessions with Open Heart International (OHI) volunteer Fran Bielby (Ward team leader) and Kiasha McInnis (ICU team leader) have been undertaken in the lead up to surgery actually commencing. 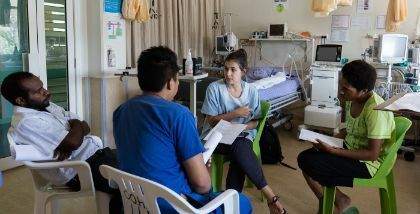 This has occurred while also getting prepared prior to most of the team arriving. 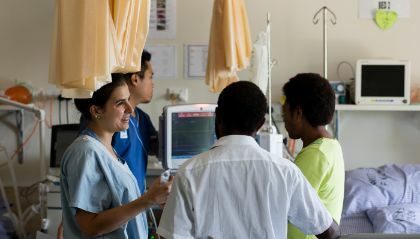 This morning sees the first day of surgery, and in the operating theatre the Australian and PNG counterparts work seamlessly together. 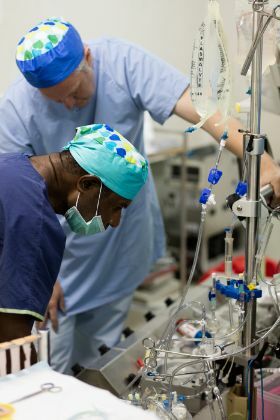 Hayden (Australia) works closely with Norman (PNG) to run the bypass machine. 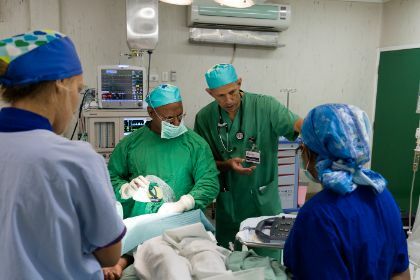 Surgeons Yishay (Australia) and Noah (PNG) continue their work and training they last left off six months ago. 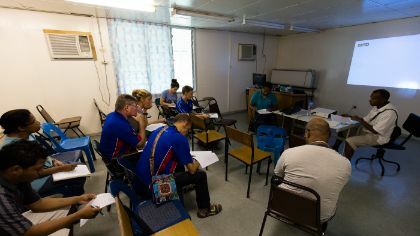 While it has been six month since OHI was in Port Moresby, the local team have been working with other visiting teams. 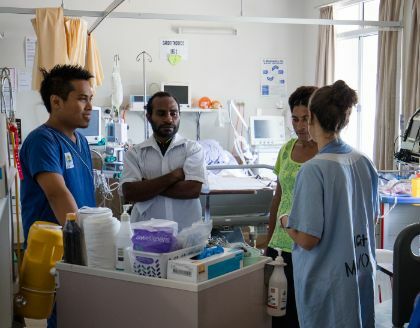 OHI focuses on paediatric cardiac surgery, and a Singapore team visits to work with adults who require surgery. 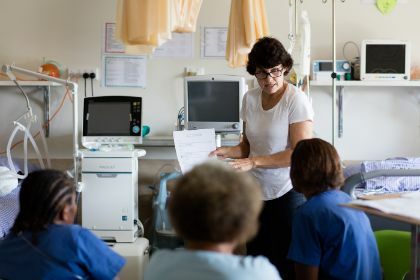 The visits are spaced out so that the local team are regularly working with cardiac patients so newly acquired skills can be built on and used regularly. 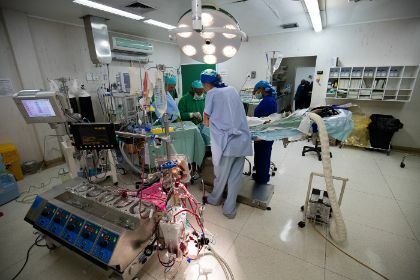 With the Open Heart International team able to help educate and guide the way, the local staff are able to implement new techniques and processes to help with their developing skill set in dealing with paediatric open heart surgery. 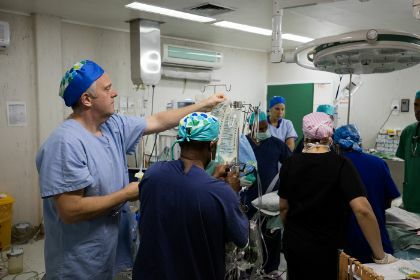 Everyone is very excited to have the program underway and no one more so than the young patients that are expecting surgery.